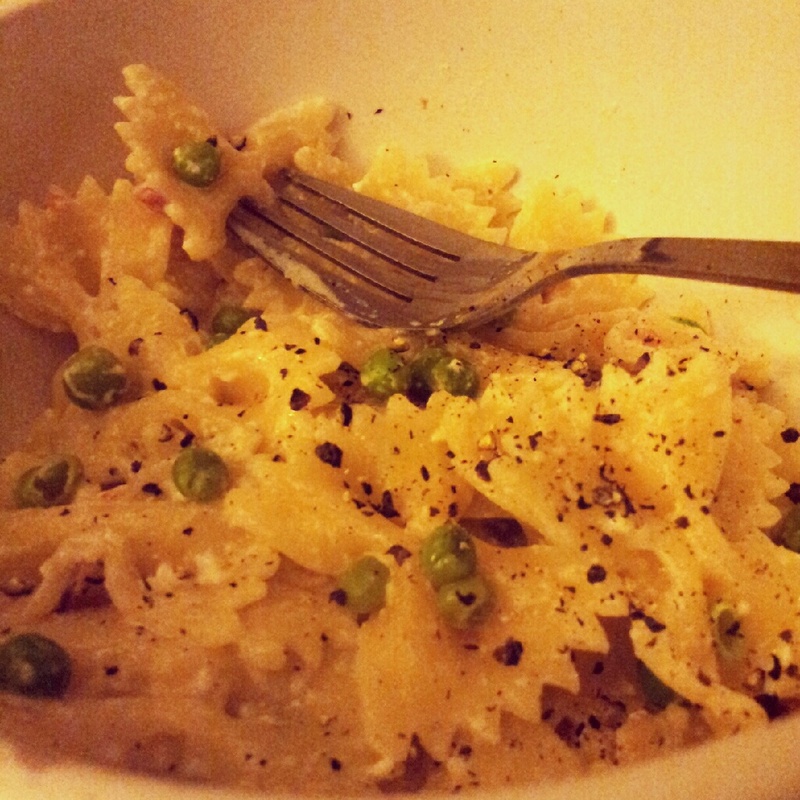 Farfalle Alfredo | What's for dinner? Leftover cream cheese, store-cupboard pasta, bacon in the fridge and petits pois in the freezer… All adds up to a suitably Autumnal meal. Delish.